As sweet as her cakes and baking the very talented Laura will design, bake and create the dream wedding cake for you. With a really individual finish and charming handmade appeal all of Laura’s cakes are delicious. 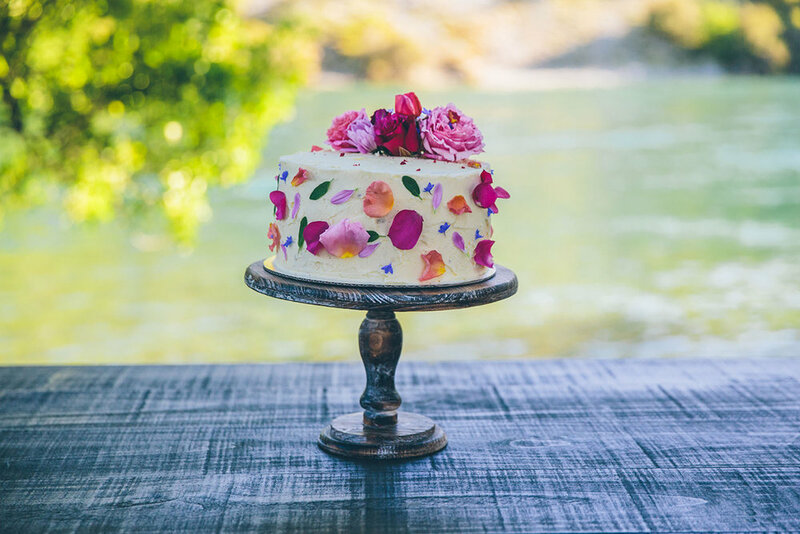 You can see her work featured in our Wanaka story and if you don’t get enough cake on your wedding day check to see if she is selling at the Thursday artisan market in town. Top tip, the coconut and Turkish delight combo is heaven and talk to her about edible flower decoration.